Note: This was originally posted on my old blog in February 2015! The New Moon is literally the Moon starting her 29 day cycle again. Starting a new and so we celebrate this with the start of new beginnings. New projects, renewing commitments and healing. It is a time when we put the old behind us and look forward to the new. Old habits and worries. If there is something you have problems trying to put behind you, this is the ideal time to do it. 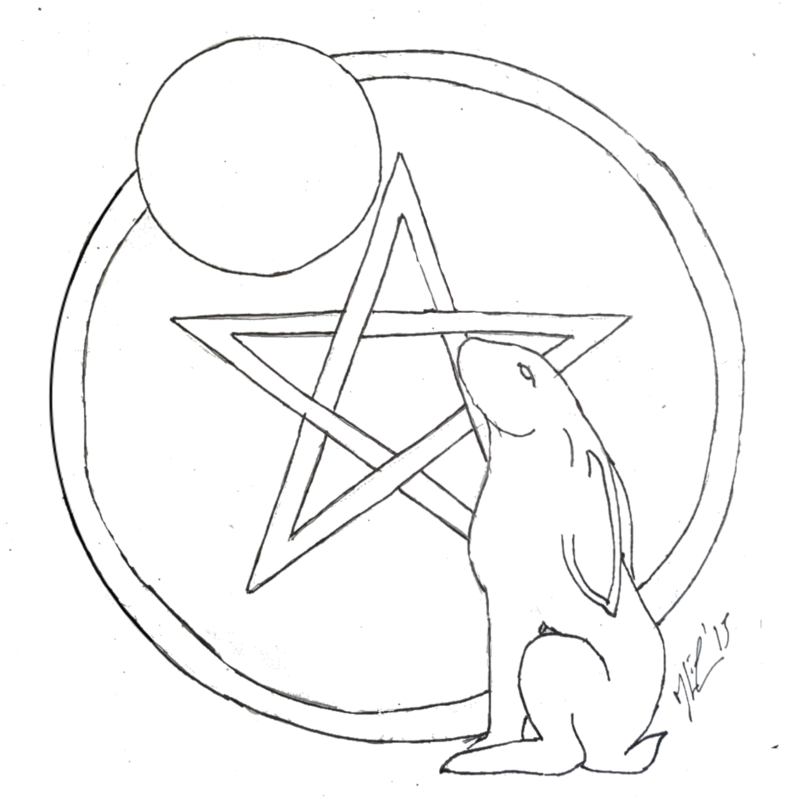 Now I haven’t written a ritual as I really haven’t had the time. But there is one at the end of the article. my part in this article is more about preparation. So lets start with the most important part of any ritual. Firstly you must decide what your intentions are for this ritual. Why you wish to perform this. As I have said, this is the time for new beginnings and renewing commitments to old resolutions. Or you may wish to perform some healing work. Though you can do more than one thing. Just be sure of what you wish to do. Decide where you want to do your ritual. Outside is always nice, but also not always possible. So choose a room in your home where you have space to perform your ritual and where you will not be disturbed. Make sure those in your home are aware you need some quiet time and switch off mobiles/cell phones, computers, tablets and take the house phone off it’s hook. Once you have decided where you want to perform your ritual. Make sure it’s clean and tidy both physically and spiritually. Don’t just put things away and vacuum, but smudge the room too, sage or lavender are perfect for this. Lavender and lemon balm are also associated with the New Moon. Open windows to allow fresh air to circulate. Don’t forget to prepare yourself also. A nice cleansing and ritual bath. A shower really doesn’t have the same effect. Have some candles and lavender bath salts. When you soak imagine the Lavender salts drawing all the negativity from your body. Step out of the bath and then pull the plug and watch all that negativity drain away with the water. Grounding and meditation are also important. 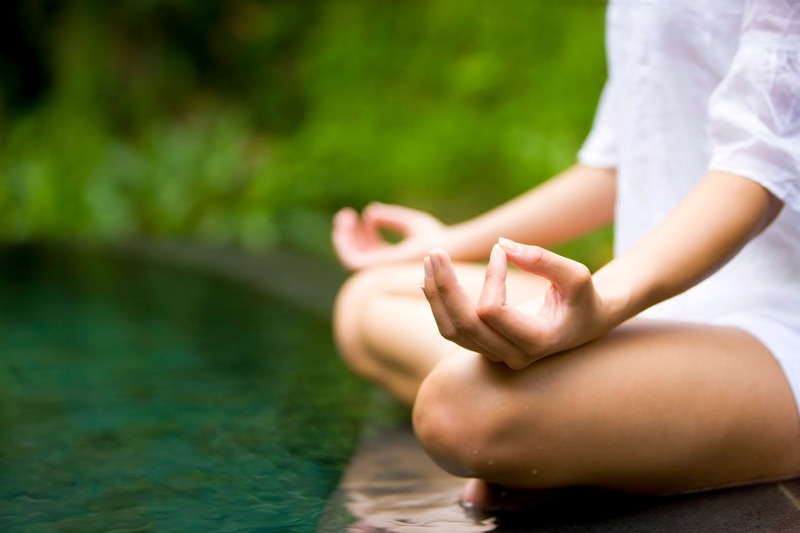 Meditating on your intentions and grounding your mind, body and soul are as important as preparing your room. As this is a Moon ritual I would suggest either white or silver for the colour choices. It’s nice to combine both of this as it adds more interest to your altar. How you decorate your altar is of course up to you. Below are some suggestions. This form of decorating your altar can be used for any Moon ritual. So a silver or white altar cloth. Or possibly a white altar cloth with silver thread running through it. A silver or clear glass bowl of Salt to represent Earth. Or you can use a stone or a some soil. A silver or clear glass bowl or goblet of water. If you can use spring water for this do. But don’t worry if that’s not possible. If you are going to burn paper, a cauldron is suggested. I would say that your cauldron needs to be at least 11cm in diameter. Anything smaller and it’s not safe enough to burn things in. Make sure you place it somewhere safe and don’t burn too much. Keep it small and keep it safe. rather than actually using the ritual. Remember the more personal it is, the better it will work for you. I have added a ritual at the end of this article. Prepare the space by lighting one white candle and burning a stick of sage. Write on a small index cards intentions for the next 28 days. String intentions up via string. Visualize a new life. Create a vision board with images that reflect this new life. I know I am bound to have forgotten some things in my article. So here are some useful and interesting links. Do read, as you will learn more that way. Now as I have had a very busy week with unwell family and visitors, I am resorting to my suggestion. So the following ritual is one I have found and liked. This ritual is a rather simple one, but also really nice. I have provided a link below to the actual page, so if Carole mentions other pages to visit, just follow the link I’ve provided and go from there. And don’t forget, rituals don’t have to be over complicated. If anything, the simpler the better is often the best mantra. As they say KISS – Keep It Simple Stupid. Any new moon is the perfect time to release your monthly wishes out into the universe. Astrologically it carries a strong energy for giving birth to new ideas, habits or projects. To give my wishes the special attention they deserve, I send them on their merry way with a simple, yet meaningful ritual. Rituals needn’t be complicated, time consuming or confusing. In fact mine are around 3 – 5 minutes. Firstly, I become still and arrive fully into the moment. I want my whole body, mind and breath to participate. Secondly, I connect with the four elements of nature, after all they nourish us all on a daily basis and we certainly couldn’t survive without them. Then, and only then, do I feel connected and prepared to release my wishes out into the big wide world. 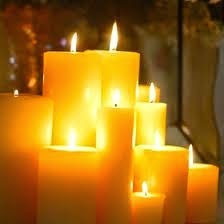 Light a candle to signify the start of the ritual – giving thanks and gratitude. You can even open with a little blessing or prayer if that feels right for you. Give 100% of your whole self when releasing your wishes by arriving fully into the moment. Involve your mind fully, breath fully, body fully and your soul fully. Feel and become aware of your body (feet, toes, fingers, legs, arms etc), shake and move your body if you need too. Feel and become aware of your breath, follow it as it moves through your body. It is your breath and words that will give energy to your wishes. Feel and become aware of your thoughts – do not follow your thoughts just notice them and your mind will soon arrive without getting distracted. Feel and sense the energy of your heart, the core of your being, the essence of who you are. Now, pay closer attention to the environment around you. Tap into your senses. What can you see, smell, taste, touch or hear? If you need help arriving, then you might like to read my article called the 3 arrivals. A simple Buddhist practice that encourages you to arrive fully into the here and now. To connect with the essence of the universe you need to acknowledge the four main elements of nature. Fire – water – earth – water. You can do this by feeling, sensing or having a physical representation for each of the elements. Earth: go barefoot and feel the earth beneath your feet. If you can’t go outside you may prefer to wear or hold a crystal, be close to a plant or vase of flowers. Breathe the earths energy up through your feet. Feel the connection. Fire: the burning candle signifies fire – feel or sense the cleansing properties of the fire, and the energy it is fueling your wishes with. Air: light a piece of dried white sage or sage smudge stick (as shown in the picture on the right). The smoke represents air. Let the smoke fill the air around you. Water: have a bowl of water with a small handful of rock salt. This connects you to the ocean and all water on this planet. Add essences, flowers , crystals or infuse your water with sunshine – if this feels right for you. Write your wishes down on a piece of paper and then cleanse away unseen obstacles and energy blocks with the smoke from your sage smudge stick (Shown in the photo above). 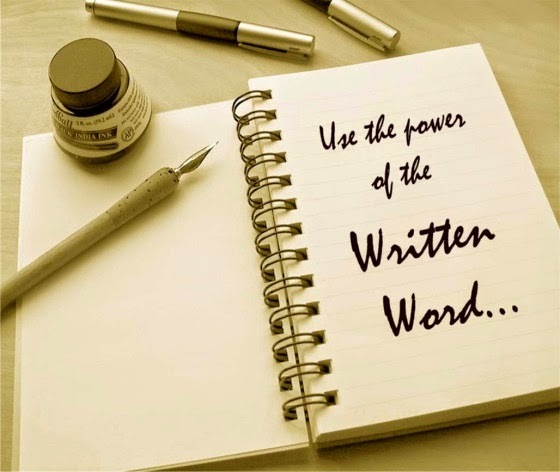 Continue cleansing until you feel a lighter energy around your written wishes. 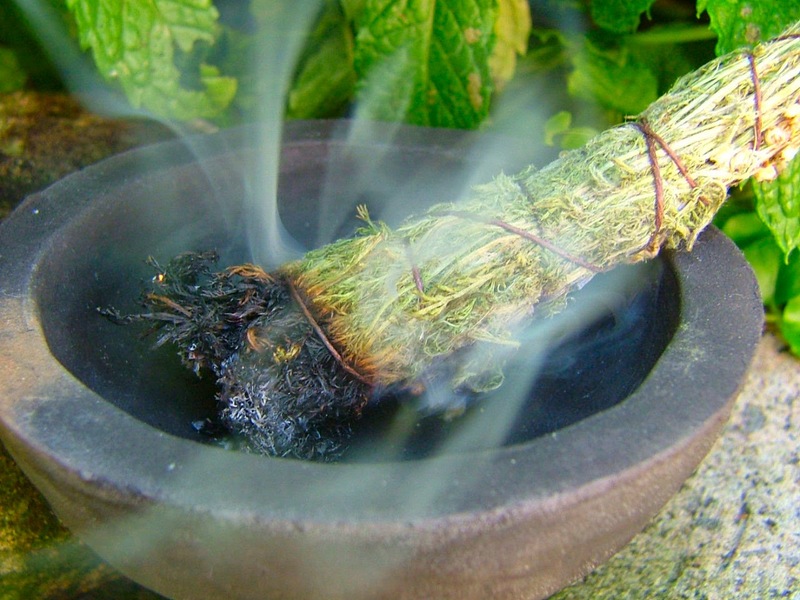 I have used dried white sage (either loose or as a smudge stick) for over 20 years and strongly believe in its cleansing and purification properties. 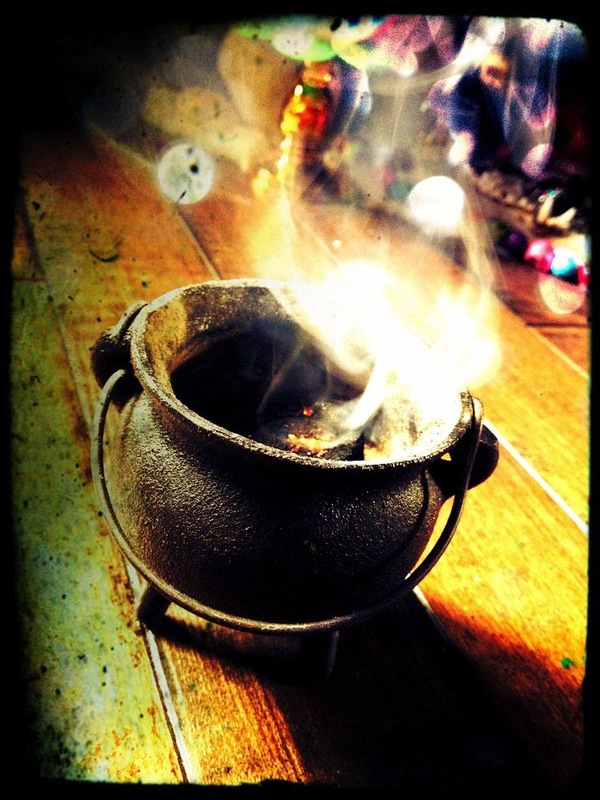 Burning sage is almost a daily occurrence in my home. If you can find organic, then all the better. 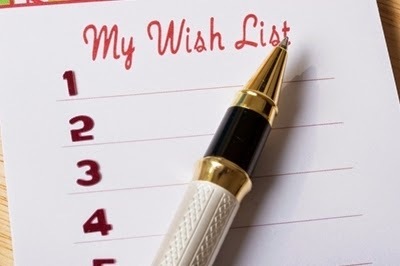 The first part of releasing your wishes is writing them down. The second part is saying them out aloud as if you are speaking in person to the universe. Feel or sense the words of your wishes in your breath, in your exhale as they leave your body. Release them with love and grace. Finish your new moon wish ritual by blowing out your candle and giving thanks and gratitude. Close your eyes and spend a few special moments in silence – feeling whatever you need to feel. I usually get a feeling of my wishes flying out into all corners of the world. You may keep your written wishes under your pillow, next to your favourite crystal, on your bedside table, in your wish bowl, on your altar or bury them in the ground for the next month. 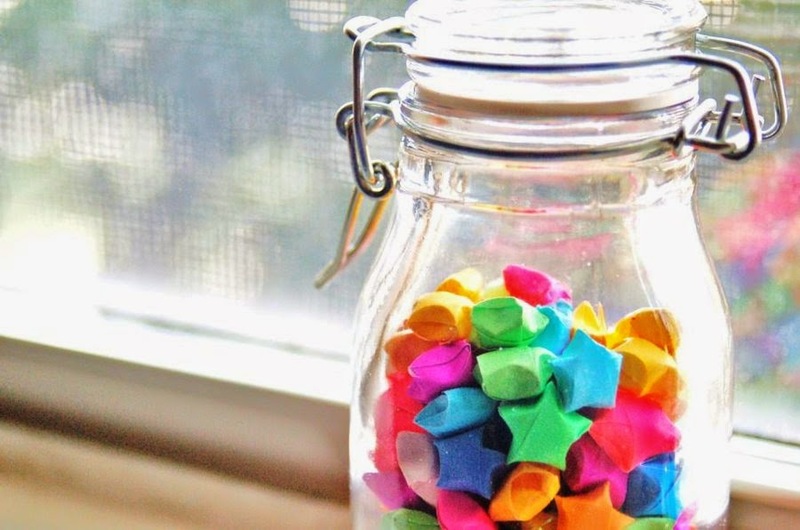 You may even prefer to keep a visual image or picture that represents your monthly wish. Alternately read your monthly wish/wishes just before you go to bed. Do whatever feels right for you. Trust and be guided your intuition. In case you are wondering what my monthly wish is – it’s to complete my first e-book “Unwind” and become an author. Wish me luck. May all our wishes come true, easily and effortlessly.